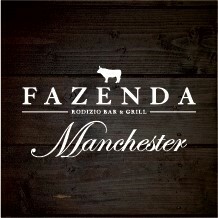 Fazenda features continuous tableside service of fifteen* different prime cuts of meat, including beef, chicken, pork and lamb. *eight cuts at lunch time. Our dedication for providing quality ingredients with outstanding service will ensure you enjoy the true essence of the Brazilian gaúcho experience. The decor was very luxurious, great service & amazing food! We went at lunch time, the salad bar is amazing has everything plus more. The meats were lovely and were cooked to your liking. Would recommend and will be going back but probably for an evening meal or weekend when we don't have to rush back to work. Excellent - great service, amazing food, outstanding venue and good ambience and atmosphere. A must for any lover of great food. Amazing food with great service and atmosphere. You definitely won't be disappointed if eating here! Excellent quality of meat and accompanying dishes. Superb wine list and professional and attentive service. Highly recommended. Great food and great service. All wait staff were attentive and sought out our personal requirements. The private dining room for 6 was a great environment. Great restaurant, would come back again for sure! Would be nice to see a vegan option too although I really thought the effort to cater for dietary needs was commendable, coming from an establishment that serves meat as a primary option. We had great service, 1stclass and the food was lovely,fresh and the meat was really good quality. We had never been to a Fazenda so found how the waitress explained it and gave us the card was really helpful. Even tho it's more expensive than other similar places we would defo come back because of the service,the atmosphere and the food. Also great that you get a free cocktail for checking in to social networks! The drinks menu was good too. My husband really enjoyed the Brazilian beers. Don't fill up on potatoes like I nearly did. The meat is to die for. Amazing food & drinks. Lovely atmosphere & very good value for money. Would definitely recommend to family & friends. Looking forward to eating here again soon. Superb venue, great food, attentive staff and overall a memorable experience. Will definitely be back again. The cuts of meat were explained well and the side bar had a varied selection. Amazing service and food. Great night!! Great place sure it will do well, bit on the pricey side, particularly Friday and Saturday night. Food and Drink excellent and service first rate. Awesome overall, you will see me again for sure, I wish the price was slightly less I would make it a regular habit to visit. One of the best restaurants in Manchester hands down, slightly pricey but definitely worth it...service was great and the meat was incredible! Highly recommended. Service was slow at times, particularly for drinks.